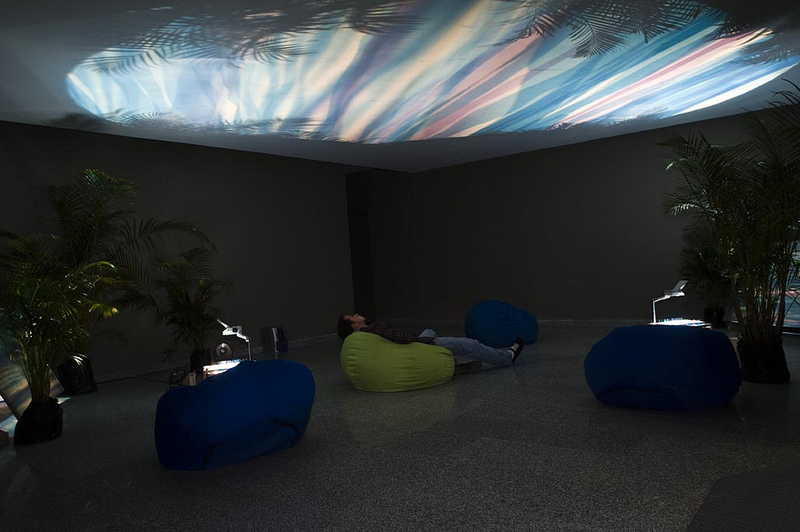 This installation is a recreated oasis that offers visitors a space of tranquility, they just need to lay down and stare at the ceiling. 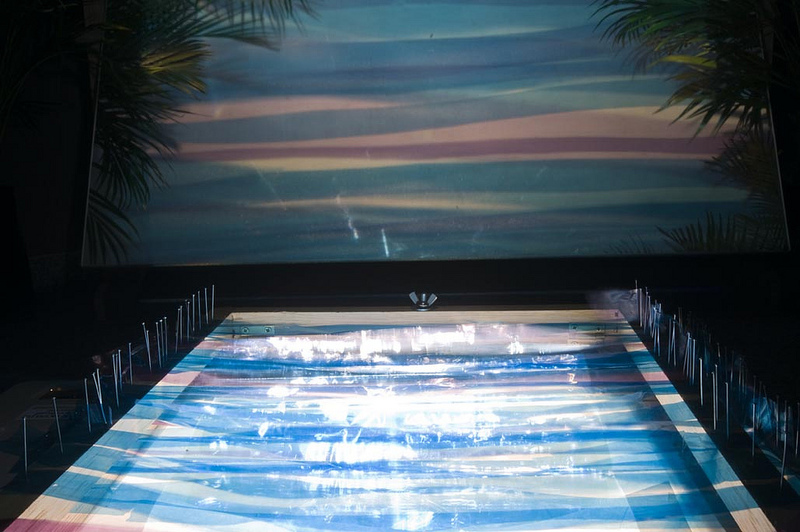 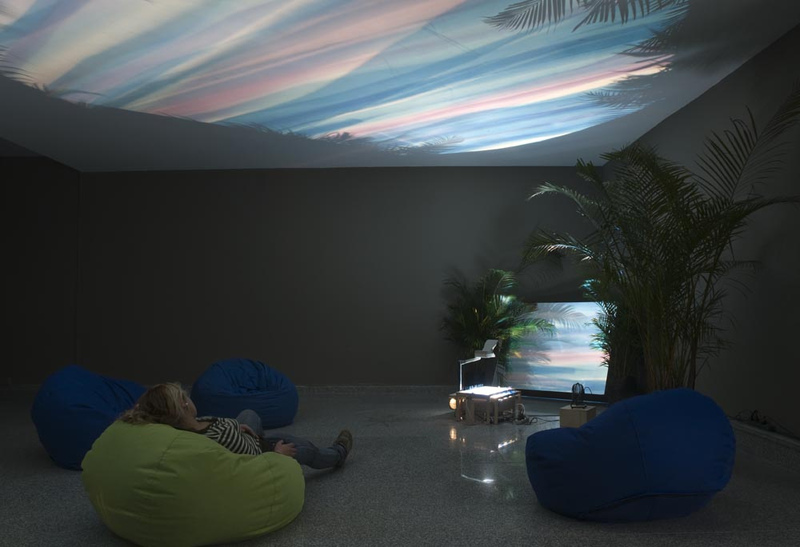 The heavenly landscape is made up of a pink and blue lake moving slowly in the bedroom ceiling projected by two overhead projectors and two mirrors, the shadow of some palms, a decorative fountain that produces the sound of the water environment and finally a few puffs distributed around the room to allow visitors to get comfortable. 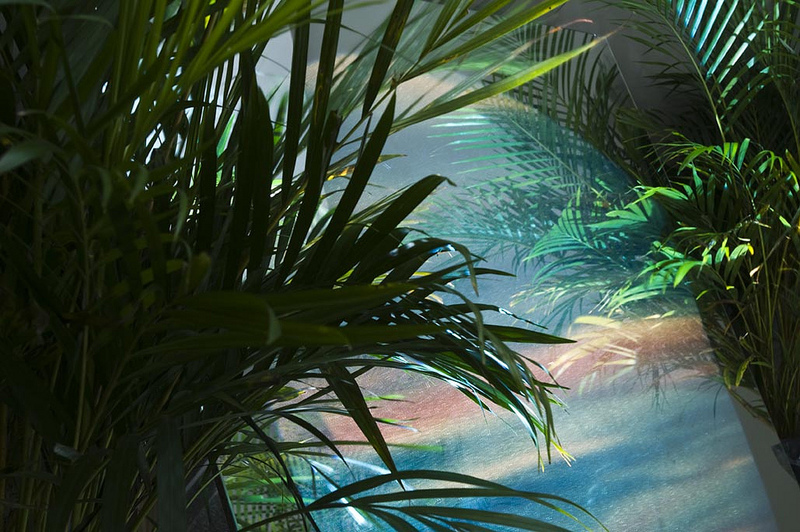 These elements eventually build an ideal environment to rest, however, it is pertinent to ask why we need fictitious spaces to achieve the inner peace we desire. 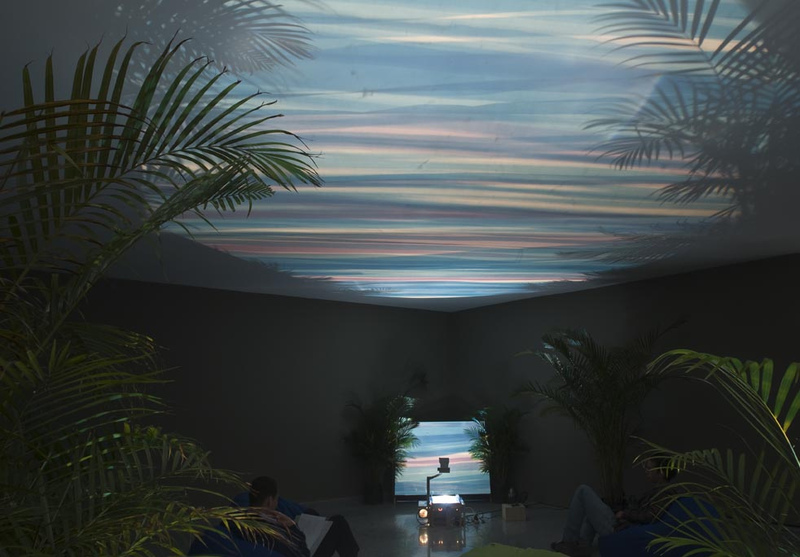 Projected lake made with two overhead projectors, cellophane, two mirrors and fans located in two corners, palm trees and a fountain with amplified sound. 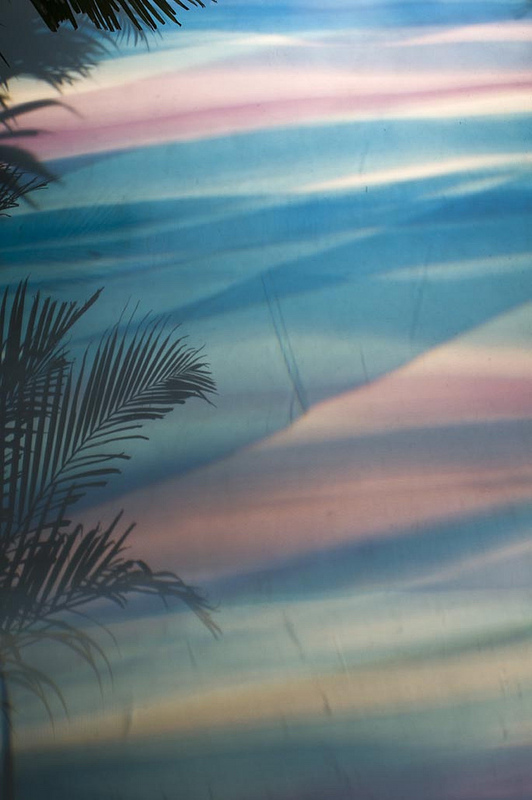 Details of projection on the roof and reflection on the mirror. 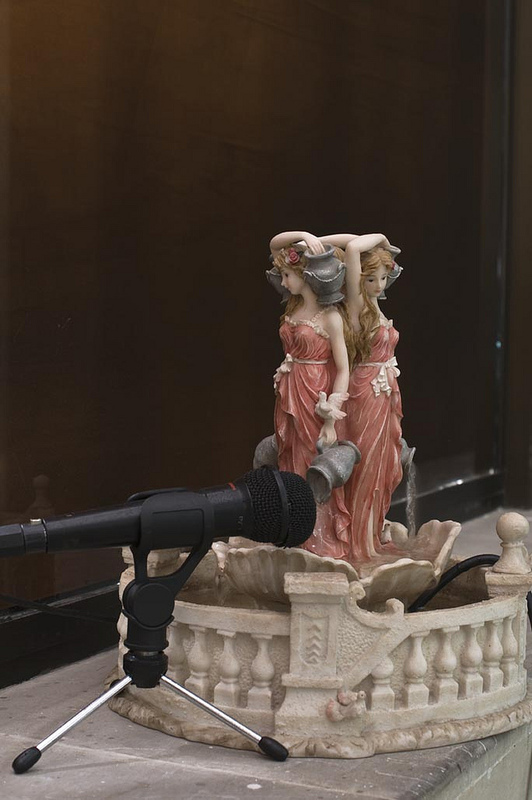 Detail of cellophane on the overhead projector, two little motors and a fan move the celolphane. 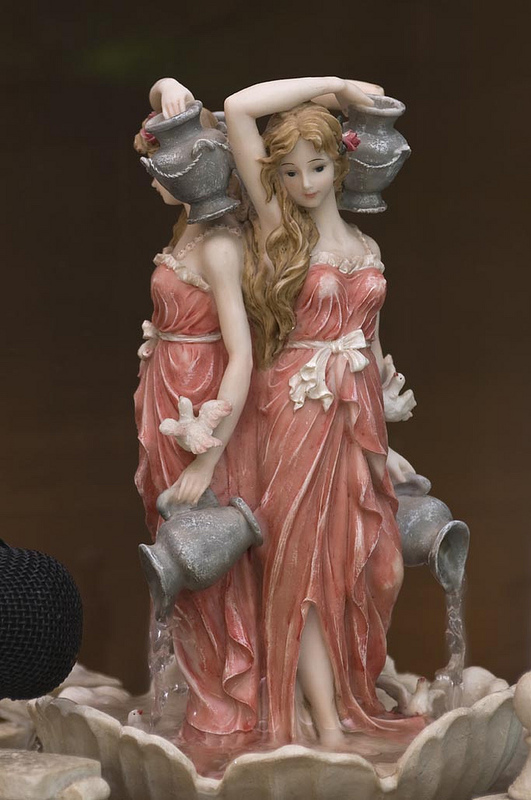 Detail of fountain with amplified sound.